We crossed the state line from Nebraska into the north-eastern corner of Colorado. I was still revelling in gratitude for the gifts offered to me and also anticipating finally arriving at our destination state when the Colorado landscape knocked my senses into a completely different reality. Lucy had not prepared me for what I would encounter crossing into the abyss of raw essence that confronted my whole being. All around us were drought-ridden hills and fields of ‘dry, brown, scarce-to-nothingness’. Several expletives came tumbling out of my mouth as we entered a land where the beauty of the place was in its power to surrender one’s sense of destiny and ego into a rightly ordered humility. Scattered signs of pocketed communities were evidenced by the occasional herd of cattle or horses and occasional buildings in the remote distance. Yet, no human life was noticeable out working in this vast landscape. No one except fellow travellers. Exits along the highway often read ‘no services’ and many exits led only to a field or to a gravel road. Occasionally, a paved road to somewhere came into view. Unlike Nebraska where I could ask ‘what is the medicine of this land?’, here in northeastern Colorado, the raw-holy-power of this place left me feeling like I didn’t yet have the ‘right’ to ask such a question. Doing so presumed a personal authority inappropriate to the power of this land that could reduce me to nothing in a heartbeat. Most of that first hour was filled with little more than ‘oh my God’ every time I felt my senses confronted with the largesse and untamed power of this land’s spirit. You may be wondering how this journey into the American Midwest relates to you. What does any of this have to do with improving your health, your happiness and your quest for harmony in your relationships? What does this have to do with the way you and I work together in your quest for healing and living a fulfilled and purposeful life? Find out next time… for now, step outside and put your feet on the soil. Listen. Listen with all of your senses. Listen for a good 20 minutes with all your senses. Then write it down and notice what you wrote. Continue this practice for the next week. My sister and I recently travelled to Colorado for a learning vacation. I knew I needed to get out of the routines and patterns of my daily life and experience the relaxation of a different environment and rhythm of life. My spirit needed a vacation just to be in a new way. As we headed into the Midwest, I shared with Lucy how flat everything was. She told me just to wait; I haven’t seen anything yet. Driving into Nebraska was a challenge for me. 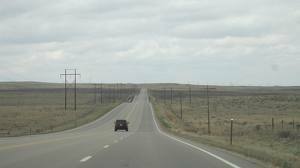 It felt lifeless and soul-less in some in nondescript manner… flat lands with lots of wide open space. Not a lot of variety to this ‘scenic’ voyage, I commented. The horizon seemed always so far in the distance. Little to nothing blocked the view. Dry and sparse fields of corn and soybeans limply stretched for miles and miles. I asked this Nebraska land about its ‘soul medicine’ and its power. I have been to places where the scenes and the energy has ‘wowed’ me, left my soul moved by the beauty and magnificence of Nature’s artwork. Nebraska just wasn’t this kind of place, or so I thought. However, after hours of driving on the open road with little traffic and highway speeds not permitted on the 401, the land’s unassuming influence and medicine began to shape me. Something began to happen inside, a subtle yet dynamic encounter with endless space. This Nebraska land powerfully absorbed all my blocks and assumptions I was holding and opened me up to the expansiveness of my spirit previously unimaginable to me. I could feel my ‘spirit wings’ unfold in my chest, my muscles in my mid-thoracic literally breaking open. I saw my self. There was nothing to hide behind in these wide open spaces. It was just endless space … the open space of Nebraska and me. The land quietly and imperceptibly caused me to know ‘me’. In those moments, the power of this Nebraska land was that I was faced with my ‘heart’ – to see the beauty and power hidden deep inside that only this endless space could reveal. I gave thanks to this land as we drove. I gently laid down prayers of healing and gratitude for the gift I had received. It is a gift that ‘came upon me’; not one that was initially apparent or discernible, yet surprisingly transformative. What is your soul encountering this summer to shake you up and clear assumptions that are clogging your mind and veiling the truth of who you are and the path you seek to fully engage upon? There is time. What shake is yet needed for the fruits of the harvest this fall to manifest? Every summer, my mother has huge sunflowers growing in her garden. They are proud and cheerful. They reach up to the sun and bask in their own self worth and dignity. There is no hesitation to their boldness to be gloriously present and to be awed by passersby. They have no desire to be anything but beautiful sunflowers and that is simply how they are. On a rotating basis, the field beside our garden has corn planted in it. Corn is a special food. The land remembers corn as a spiritual food used in ceremonies of gratitude and plenty for the people of the land. I always send a Reiki blessing to the corn to remind it of its spiritual power to be a symbol of plenty and gratitude for those who enjoy its true nature. Corn loves hot and humid weather. It delights in its capacity to grow four inches in a single humid night. Farmers say you can hear the corn grow on such nights. I have heard it too on my late night walks, if I listen closely enough. Corn also has a humble pride to its capacity to feed so many and to be used so diversely. However, corn is often sad that it is no longer honoured and respected as it once was during harvest. And so as the summer unfolds the friendship between sunflowers and corn becomes very important. Although very diverse in function and nature, each finds the friendship rich and invigorating. You see sunflowers want to grow past whatever is beside them to reach the sun. As the heat and humidity build, people often wilt, become short-tempered and we complain a lot. But not the corn. Not the sunflowers. I watch them closely. Which is taller today? I watch how they create a joint partnership to fulfil their own destiny and live their potential. Corn is grateful to the sunflower for keeping it company and reminding corn of its purpose to provide food and fuel. Even though people have long forgotten the sacredness of corn, as known in the first nations and tribes of this land, and we forget to love and sing to the corn, the sunflower sings to the corn. The corn sings back. You can hear the song gently swell across the fields. They each encourage the fullest potential in the other. In perfect summer weather with enough rain, heat and humidity at the right time grows to be 12-14 feet high. The corn grows – it smiles at its accomplishment. The sunflowers grow – they too have a destiny. They gift us and help us to harness our energy and become further aware of our True Selves too. Each morning it sees the corn has grown. These sunflowers keep pushing past the corn. Sunflowers, 16 feet high, with trunks like saplings spreading happiness and food for the birds. In the morning sunflowers face east toward the light. By evening the sunflower faces west, still taking in as much light and energy as it can. It is always facing the light. We too must always face the light and grow in happiness and well-being. Always face the light and heal. And so the corn grows and matures. And in growing tall and proud by the end of the summer, it contributes to the sunflower growing taller than the corn. The sunflowers rejoice. They send out their healing medicine of happiness and well-being to people. And those of us who see the friendship and the partnership of destiny fulfilled and feel the ‘medicine’ are grateful and happy. Because of this friendship that inspires essential expression, we can heal and be given renewed life. And now you know. Open your heart to the corn and the sunflowers and be blessed too in your destiny. It’s Wisdom’s way to peace. This ‘tedtalk’ with John Hunter and the World Peace game was sent to me by a client who participant in my Peace Building Conversations course. Note his amazing and highly creative teaching style to engage the wisdom inherent within children (including the child within each of us) to return our hearts and intelligence towards the ways of peace. ♦ What knowing does he/she bring to the conversation unfolding in this classroom? ♦ What does she/he want to add? ♦ What permission does this video give to her/him that opens her/his heart to colouring outside the lines, as it were, and creatively build new dialogues of peace? Ever wonder how to improve the emotional experience of your dialogue, your conversations with others and lessen the patterns and minefields of conflict? Consider taking Peace Building Conversations with Shirley Lynn Martin. Sharing Control: Manifesting What you Want! Now, step into teenage years. Sharing? Are you kidding? I know Shirley Lynn is the treasurer and the quality controller of my resources. But isn’t it time to play keep away! Well, yes there is the keep away game of ‘little shep chase’. In this game, Carlie can run with great agility and zig-zag in all kinds of tricky turns and turnabouts while I cue chasing her. Oh it’s great fun. You can never catch me she confidently messages me through her eyes. A great game for a teenager dog! Let’s play ball, she says. If you throw it, then I’ll chase and get it. Shirley Lynn agrees to this game. It’s a good game and we both delight in it. And because we both choose to play ‘retrieve’, the game easily manifests! Darn it, Carlie’s body language communicates. I’m a teenager and I want to do it alone and not share. What a dilemma. If I bring the ball back to Shirley Lynn then I give up control. I want to experience full control. But if I hold on too tightly to the ball and not give it back to Shirley Lynn, then she just sits there and the game stops. Boring! And if I don’t bring it close enough to her, then it just sits there between us and the game stops again. Not what I intend! I (Carlie) think of so many ways how I could hold onto the control of the ball without giving it up and still have Shirley Lynn throw the ball. I’m quite intelligent you see and I love to problem-solve. I wander around the table and drop it. But it doesn’t go anywhere really. And then I try to bounce it by tossing it a bit, but drat, it still doesn’t go far enough for me to give a good chase. Hmmmmph. There is no game. The only way I can really have what I want is to share control of the ball. I have to release what I really prize to continue a really good game and feel the joy of the game. I use all my natural intelligence of heart and mind and notice that sharing control gets me exactly what I want. And so in surrender I go towards Shirley Lynn and drop the ball in front of her and immediately she rewards me and throws it again. The game is on! YAHOOOO! My sense of control is fully engaged as I move my body with such ease and skill to ‘retrieve’ the prize Shirley Lynn and I share. It’s a big lesson. And I am happy. I notice Shirley Lynn is laughing too. Carlie has left puppyhood. She is now a tweenie (about to be a full teenager), as my sister calls her. And in this next phase of development of energy, body and drive, Carlie is now ‘testing the answers’ as our trainers remind us. Well, maybe. But some days it feels as though I’m the one being tested. Please just wait until I get this email sent before you chew the phone cord. Just rest a bit more so I can get my paperwork and scheduling done. Really, can’t you wait a bit longer until you seek games to play, eat the cat food or chew on the crystals in my room? Just give me 20 more minutes! I look around and notice all the highly attractive ways that could keep a tweenie Carlie engaged and stimulated while I work. However, these stimulants, left unchecked, would create a path of destruction I would need to clean up, repair or replace! No thanks. So I get up and put the cat food away, telling my cat I will return his food to its rightful spot when I finish working (sometimes I forget and then my cat firmly reminds me of my serious neglect!). I gather the chew toys Carlie can have and close any doors that lead to areas where Kleenex can be shredded, food eaten and kitty litter snooped through. It reminds me of life. I have a plan. I have a purpose and it looks great on paper. Then living in relationships happens. People die. People have babies. People get sick. Events occur. People change their heart and I’m left with a gap between where I am and where I want to be. Now what? Carlie is a tweenie seeking independence and exploring her creative problem-solving capability. It’s a given. No use fighting it. Human children become teenagers who test their parents’ responses, their answers, their values. It’s a given. No use fighting it. With Carlie we are accounting for her need to challenge her strength, her boundaries and her power of movement. Simple act to do. Yet, we have to do it EVERY meal, a consistent action on our part until she learns this is the behaviour we want while we eat. That way, I’m not getting up in the middle of the meal and re-directing her creative activity of chewing at the wooden gate while we eat. I don’t like eating cold food. Even when I know this, I still have to make myself do the actions at times so I can eat in peace. Well, maybe even though she is teething, this meal she won’t go to that wooden gate and chew, I think to myself. And maybe the sun won’t come up tomorrow either, I remind myself. Preparing for the obstacle and having a plan saves me an enormous amount of frustration and anger. It has also increased my capacity to be kind to myself and others, and in this case, Carlie. I have a strong vision of what kind of relationship and behaviours I want with Carlie. I keep that clear in my heart and in my decisions about where and how and how often I include ‘learning opportunities’ and classes in our time together. I know what I know about dogs. I know what I had learned with Marzie, my previous dog. And I know there is so much more I don’t know. So why do this ‘relationship growing’ alone? Why would I struggle in developing this relationship because of lack of support? Why wouldn’t I get the coaching, the mentoring, the skills and knowledge needed to manifest my vision of our life together? Why would I leave the gaps and the obstacles to chance that they ‘will somehow get dealt with’ and not prepare for the inevitable life challenges? And why wouldn’t I get the ‘right’ support that meets the totality of my vision? ‘Tweenie looking for twouble!’ my sister kindly calls out at breakfast as Carlie begins to step over the line with Taz our tortoiseshell cat. A herding and prey breed, Carlie thinks Taz is a great playmate. However, their games and communication cues are totally different. Carlie wants to play ‘chase’, the best game. Taz wants to wander around and say ‘good morning’ to everyone. It’s a busy morning. Lots to do and get out the door. If I ignore this behaviour this morning, Carlie learns that the answers can vary day to day. I sabotage my vision. I see the gap. I am aware of the need in the moment and the creative learning opportunity I need to find and practise right here, right now, 8am! I sit down on the floor with my breakfast, ball hidden in my hand, and tell her ‘that’s enough’ (which means stop getting into Taz’ space). She looks at me. Today she listens. She re-directs and comes to me. I bring the small ball out of hiding and toss it in a new pattern of retrieve. Wooweee! A new game of chase begins. Her joy returns and her independence is strengthened through a positive choice in how to direct her creative intelligence. It’s a new way to eat in peace. “Now what?, I heard Shamrock ask the other pups as he began to splash about. Shamrock made his way to the shore where Carlie greeted him with a quick cue to say “I really like to chase a wet dog!” Off they went again, and this time over a little bridge into a little wooded trail. Just as we had rounded the corner, we hear the footsteps of a loose dog behind us. We turn around and Carlie and I call out, “it’s Wally! Wally’s here”. The puppies gathered around and very quickly Wally is herded into this great game of chase. Barks of glee and calls of ‘tag, you’re it’ echo throughout this very quiet park on this once dreary day! Just enough time to practise a game of ‘recall’ in a big circle. Oh what fun! Then off to the games which only puppies in perfect harmony can play. Chase and race, to the water’s edge, around trees and stumps, up the path and back, weaving around people who would occasionally practise ‘gotcha’ and give a treat. Without notice, we arrive back at the beginning. Every pup is still panting with glee and complete fulfillment. Carlie and I say our good-byes and walk to our car. As Carlie hops in, I hear her say, “Oh boy, that was sheer glee, joyfully the best.” She immediately sits down in her seat and dreams it all over again on the ride home. I too cannot stop smiling in glee. Pure energy of glee had filled all our hearts, just because we showed up, even on a dreary day. When was the last time you felt such glee and played full out on a Sunday afternoon? Surprise yourself, just show up to an ordinary day with young spirits and Nature! It’s a whole lot of powerful energy to help you focus on what is best in your life and world. And you never know what can happen when committed people show up to play even when it’s dreary. A moment of perfect glee may just manifest. If you are wondering how to ignite that spark within which knows how to live with glee, then call me or send an email and let’s do just that! !